and create your own 6-FIGURE "REFERRAL" based business! 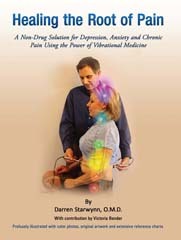 A unique vibrational technology that combines low-frequency Microcurrents with specific colors of therapeutic light. Microlight provides the fastest known pain relief plus superior results for facial & whole body rejuvenation. It also accelerates healing and rehabilitation for injuries, neuropathy and post-stroke syndrome. Light up your spa with ELR, an application of Microlight therapy that provides superior lifting, toning and rejuvenating effects for face and body. ELR isbased on the principle “Inner Balance = Outer Beauty”. When is a facial not a facial? When it is an MicroLight treatment! Why? Why does ELR produce these great “side effects”? 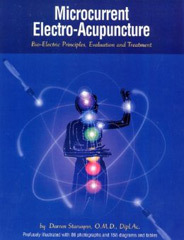 Because the acupuncture meridian system connects the entire body. Points on the face have connections to all other parts of the body. Using ELR on the face has wide reaching effects throughout the entire system. What might some of these effects be, apart from pain relief and facial rejuvenation? Everybody is different but some reported effects have been: better, more restful sleep, improved digestion, increased sense of well-being and weight loss without dietary changes. It uses patented Microlight probe system combining modulated Microcurrent and 12 colors of therapeutic light. This offers deeper-acting, whole body effects. Various colors address different skin conditions. Green reduces facial wrinkles, enhance facial muscle tone and fullness. Good all-round color. Turquoise, indigo and blue treats red, inflamed skin. Red heals scar tissue and can be used for promoting circulation and energizing the face through increasing metabolism. Yellow is effective for age spots & lymph drainage. Indigo, blue, violet reduces bacterial acne and abscesses. ELR uses no harsh chemicals, no invasive currents or light and no injections. Clients have much less resistance to Microlight than procedures such as cosmetic surgery or Botox. ELR focuses on acu-points and muscle origin-insertions rather than the entire facial region at once. This provides a highly effective facial lift AND whole body effects including stress reduction and an increased sense of well being, helping the body heal itself. While any form of generalized stimulation can help rejuvenate the face, results are measurably better when this is coupled with light therapy and directed through acupuncture points, which are bio-electric communication gateways. Acupuncture points have the ability to energize and activate not only the local region, but also promote whole-body balance and health.